Many employees say they do not have time in their day for exercise, or they forgot their workout clothes. Don’t let excuses stand in the way of your corporate wellness program. Implement a quick walk at work to encourage worksite wellness and get employees up and moving. Recent studies show that more breaks and less sitting results in smaller waist sizes and a decreased risk of heart disease and diabetes. A quick 20-minute break is a great way to refresh the mind, catch some fresh air, and get the body moving. Starting a walking program is easy. Designate a time and location, and get moving. Many employees may enjoy getting out for an afternoon break for a quick walk around a parking lot, or a trip around the block. Encouragement and participation from management will help get the ball rolling. Specify a day: Get Movin’ Monday, Walk Wednesday, etc. Give out walking group t-shirts to create camaraderie. Provide healthy snacks following a walk. Track steps taken with pedometers. Sign up for local area events and walk together. The benefits of walking outweigh the excuses. Encourage worksite wellness not only for a healthier workforce, but for a happy work environment. With the new year, many individuals make resolutions that quickly fall by the wayside. Statistics show that 75% of people keep chugging after the first week, and motivation starts decreasing. Start the year off right by rewarding employees for working toward a healthier lifestyle. Corporate wellness programming is on the rise, and while company results vary, the return on investment is encouraging. Rewarding employees with the simplest prizes can help keep them on track to maintaining a healthier lifestyle, which in turn reduces health care costs and increases productivity for your company. Small tokens: Everyone loves free stuff. Try items such as key chains, mouse pads, and water bottles. Gift cards: Large amounts aren’t necessary. Who wouldn’t like having a $5–$10 gift card to Subway or Starbucks? Point systems: By developing point systems for reaching wellness goals, employees can earn points throughout the year to be put toward larger prize items, or even toward a flexible benefits account. Rewarding is easy. Everyone likes to know that their hard work is being noticed. Treat your employees for being healthy by encouraging worksite wellness. In what ways are you recognizing employee efforts to become healthy? You might have seen, or at least heard about, the Shake Weight commercial. It's that somewhat (and by "somewhat," I mean "very") suggestive ad with a woman (and now a man) shaking a spring-loaded dumbbell at chest level. As a corporate fitness professional, when I see a new fitness product, my first instinct is to investigate further. Did I miss out on inventing yet another ingenious fitness product? Am I going to think "Why didn't I think of that?" There are a plethora of fitness products that I should have invented, including the Gliding disks, the BOSU, and the Bender Ball. Will the Shake Weight be the next product on my list? During my initial investigation, I found the product's claim on its website: “In just 6 minutes a day, you'll get strong, toned, ripped arms and chest.” The 2.5-pound (5 pounds for men) product has a spring on either end and is powered by your movement. It comes with an upper-body-toning DVD and an unconditional money-back guarantee. The product promises to meet its claims through a “completely new workout technology called dynamic inertia.” According to the manufacturer of the Shake Weight, dynamic inertia (the vibration of the muscles) results in a 300 percent increase in muscle. A recent simulation study by LifeMOD concluded that vibration training can give us the body we have been waiting for. Keep in mind, though, that this study was not done on humans. Although the product may have one supporting study, I still have my doubts. The arms and chest may be the most glamorous-looking muscles, but in order to have a well-functioning body, all the major muscle groups should be worked. More importantly, six minutes a day of upper-body work does not meet the Centers for Disease Control and Prevention recommendations of 150 minutes of aerobic activity and two or more days of strength training for all the major muscle groups. If getting the “ripped arms and chest” that you see advertised in the commercials is the primary goal of your workout, it will take a lot more work than just shaking a weight for six minutes a day to get them. Without a balanced diet, a regular exercise program, and some hard work, it is nearly impossible to build those “ripped” muscles. 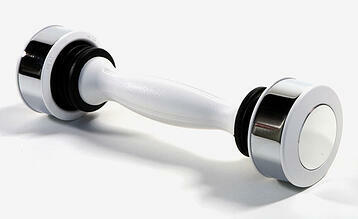 If the Shake Weight claims are true, be on the lookout for exercisers everywhere shaking things in the gym. Gone will be the days of shoulder presses, lunges, and pushups. In will be the days of shaking to create results. In hindsight, I won't be adding the Shake Weight to my list of fitness products that I should have invented. I will stick with traditional weightlifting for now. If I feel the need to shake something for some muscle activation, I'll grab a bottle of all-natural fruit juice and shake it for six minutes before I take a drink. But hey, if the New York Jets think it's amusing enough to try out in training camp, my conclusion may be way off! Water is necessary for the digestion and absorption of food. In other words, it’s essential to life. But does everybody require the same amount of water? You always read that we need to drink eight glasses of water a day. So I did a little more research to figure out under what circumstances you would need more than that. Many worksite wellness centers have handouts for more information on how much water you personally need based on several circumstances. The Mayo Clinic's website also offers some helpful guidelines. 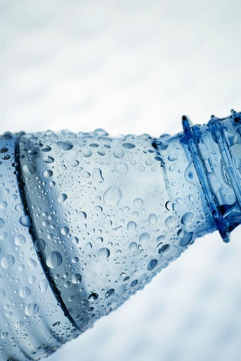 Most people choose beverages that dehydrate them instead of drinking water. Coffee, tea, alcohol, soda, and other sugary drinks are all examples of beverages that dehydrate your body. Not only do sugary drinks cause dehydration, but they also cause you to pack on the pounds. Then you will need to spend your lunchtime going for walks or in the corporate fitness center trying to work off the extra weight. Water is a great natural resource and it’s involved in all bodily functions, so drink up! Try to drink more water on a daily basis starting today. This blog was written by Lori H. as a guest blogger with NIFS. As a busy mother with a full-time job and a freelance business on the side, I know that I don't always make the healthiest food choices―for myself or my family. It's too tempting to grab fast food on the dash between work and the Girl Scout meeting. Too often I find myself completely stumped about what to fix for supper that will be easy, healthy, and satisfying. Then there are my family's specific health concerns. I suffer from increasingly troublesome acid reflux and low blood sugar. And ever since I got a desk job and gave up caffeine (which is appetite suppressing) nearly 20 years ago, I've been carrying around an extra 25 pounds. My husband has high blood pressure, so we also need to watch our sodium intake. And our daughter is a frustratingly picky eater. When I saw that NIFS provides personal nutrition coaching with a registered dietitian, I knew that it was something I needed to do. Like everything else, though, I procrastinated about investigating the possibility. I knew that I would probably hear some things I didn't want to hear. But the need to make a change finally overwhelmed me and I connected with the professionals at NIFS. The first step was to fill out a three-day food diary covering two weekdays and one weekend day. When I announced to my coworkers and Facebook friends that I was undertaking this endeavor in the two weeks between my birthday and Christmas, they said I was brave (and crazy). There are so many temptations this time of year! As I kept the diary, I found myself trying to avoid eating junky snacks because I didn't want to have to write them down. (Maybe this would be a good continuing exercise to keep me mindful of what I eat in the future.) But in the end, when someone waves a hot-out-of-the-oven chocolate-chip cookie in my face, there's not much I can do to stop myself. One day at lunch I ordered a beef dish at the Thai place, so that I could accurately represent what I tend to eat. But they got the order wrong and brought chicken! The next day was our company Christmas lunch, for which I had already pre-ordered the chicken dish. So I think most of my meals during the diary period ended up being chicken! I wasn't trying to game the system, I promise! After dinner tonight I will be done with my food diary and can send it back to NIFS. The next step will be to set up a meeting to hear where I can make some improvements. I have a funny feeling that I'm going to hear that I need to exercise more. Finding time for that will be another challenge, especially now that it's too cold and snowy outside to go on my usual lunchtime walks. Stay tuned and see what I find out! Disclosure: NIFS discloses that it does remit monies to Lori H. for other nonrelated services. However, this venture with the nutritionist is being conducted at the will and request of Lori H., and Lori H. is not being compensated for the authorship of this blog. Can Smartphone Apps Help Employee Health? Smartphones and related devices are pretty versatile. They can remind you where you parked your car, help you locate the nearest drugstore, and provide you with the latest gardening tips. But did you also know that they could help your employees stay committed to their health and fitness goals? Some of the most popular smartphone applications that are available (for purchase or for free) can help you design a fitness routine or report the calorie content of the jumbo java you’re eyeing. Here are a few apps your employees might find useful for staying on track and improving their health and fitness. Do your employees need help designing a beneficial fitness routine? Ranked the number-one paid fitness application for iPhone, this application is like a personal trainer in your pocket. iFitness enables you to view up to 100 exercises (pictures and instructions included) by muscle group or select one of the 12 predesigned workouts to follow. Once you’ve mastered the preset routines, you can create your own. You also have the ability to track your progress by making notes; recording sets, reps, and weight lifted; and other achievements like weight and inches lost. Help overweight employees take off those unwanted pounds. This app is a calorie-tracking tool that uses a predetermined equation to establish what your daily calorie intake should be based on your target weight goal. The large database allows you to enter the foods you’ve eaten, including the portion size, and track your intake each day. Lose It! hasn’t forgotten about exercise, either. Enter an activity like playing Frisbee or mowing the lawn, and it is factored into your daily caloric allowance. Chill Out: Help employees relax and de-stress. iRelax Melodies is the self-titled “Sleep & Meditation & Yoga & Relaxation Helper.” Listen to one of four looping sounds on the Lite version designed to help you relax or sleep. Other features allow you to mix any of the sounds yourself for a personalized melody as well as a timer that ends the melody at the time you decide. Save and replay your favorite melodies anytime you need to escape. The premium edition includes 36 melodies as well as binaural beats known to help the brain reach a particular relaxation state. Improve employee health one morsel at time. "Drink and refill a water bottle." "Don’t put extra salt on anything you eat today." "Walk backwards for 10 steps." Help your employees stop smoking. Thinking about quitting smoking? This app may be for you. No Smoking is designed to slowly wean you off cigarettes by first learning your smoking pattern. The app records your smoking frequency and severity. Then, when you’re ready to quit, it really goes to work. The app uses the information it learns and tailors a smoking schedule that slowly decreases your smoking frequency, lowering your nicotine level over time until you’ve completely quit. Does your company offer Weight Watchers for Employees? Weight Watchers Mobile makes searching and tracking point values (the units associated with the Weight Watchers weight-loss program) simple and convenient. This app can help you make selections that fit within your point budget when you’re eating out at a restaurant or picking up some groceries on your way home from work. Don’t forget about those activity points, either. When you’ve completed your two-mile walk, enter it in your activity log for easing tracking. Is Employee Wellness an All-or-Nothing Strategy? If you follow employee wellness, you may have heard recently that wellness programs at worst are largely ineffective and tend not to be worth the investment, and at best take years to produce results. That commentary found in a Wall Street Journal Health Blog was the assessment on a report produced by the National Institute for Health Care Reform (NIHCR), which was based on research conducted by the Center for Studying Health System Change. The basic premise was this: If you can’t do wellness right, you should probably stay out of the game. It’s expensive, it’s confusing, and ROI is questionable. It’s true that the best and most robust programs cost money and require a well-developed strategy along with clear and vocal leadership support. These things are not easily gained. It’s also true that ROI is extremely hard to capture in wellness programs. Anyone who tells you otherwise is not to be trusted. There is, however, another way to look at employee health and wellness: Something really is better than nothing. 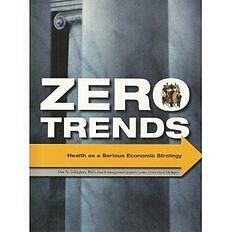 In his book Zero Trends: Health as a Serious Economic Strategy, Dr. Dee Edington outlines the “Five Pillars of Health Management Strategy,” which are consistent with the NIHCR report. But he also points clearly and repeatedly to the value of stopping the current unhealthy trends—of not letting things get any worse. Under the “don’t get any worse” banner, consider the potential value of a simple regular blood-pressure screening at the worksite. If one employee is flagged for high blood pressure during that screening, and he follows up accordingly with his doctor, your organization will bear some of the medical expense associated with his ongoing treatment of high blood pressure. You may have also just saved your organization a lot of money in catastrophic health care costs associated with chronically unmanaged high blood pressure. You’ve also created awareness for that employee that may lead to self-management efforts to improve his health. Small businesses can enter the employee wellness program arena, and they don’t have to do it with the all the bells and whistles that the big businesses bring in, as evidenced by this Business News Daily report. Where will you begin with employee wellness? Employers are concerned with the ROI of corporate health wellness programs—and they should be. Why on earth would an organization put valuable resources toward strategies that don’t work for their business? Are Brainstorming Meetings the Best Way to Foster Creativity? If you're with me on the "don't throw money out the window" approach, let's take a quick look away from employee health and wellness. Let's focus instead on a corporate convention: the brainstorming meeting. Think conference room, Sharpies, flipcharts, and fresh fruit. (You do have fresh fruit at your meetings, right?!) In the brainstorming meeting, the company’s best thinkers pull together intellectually to flesh out ideas for the business's future. How much money does your company spend on brainstorming meetings in terms of staff time, office supplies, snacks, and overhead? Turns out that corporate fitness programs might have a leg up on those Sharpies. According to a recent article in Newsweek, there are actually proven strategies for getting creative juices flowing, and traditional group brainstorming sessions aren’t on the list. Exercise, it turns out, can be an effective brainstorming strategy. Up to 30 minutes of aerobic activity (like walking) can get those creative juices flowing. But there is one caveat: Exercise improves creativity only for people who are already fit. Get your employees exercising now and it will save you money by helping control health care costs, decreasing absenteeism, improving productivity, and creating greater loyalty. In addition, your employees will be better thinkers who will keep your organization ahead of the pack. How are you encouraging regular exercise in the workplace? Recently I was going through membership forms at our corporate wellness center when I noticed that a high percentage of our clients live out of town. In fact, it’s not surprising to see that many of our members drive an hour or more to get to work each day. 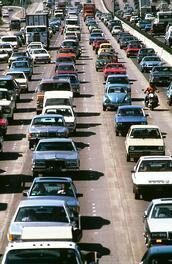 If the thought of a two-hour round-trip commute doesn’t make you gag, you are one of the few. Besides the cost of gas and increased wear and tear on your vehicle, long commutes can actually lead to health problems. Extra time on the road can cause higher rates of obesity, increased stress, and decreased productivity. How Can You Help Employees with Long Commutes? So other than selling your home and moving closer to work, what’s a good way to combat the negative effects of a long commute? 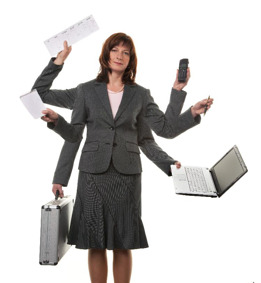 Corporate wellness programs that tackle all aspects of wellness! Corporate employee wellness is a priority for our staff; we regularly monitor our clients' blood pressure, cholesterol, and body composition. Alter your route to take in better scenery. Listen to soothing music instead of talk radio. Focus on being a courteous driver and avoid aggressive drivers. How long is your commute? Share your story in the comments section. Sometimes, it's just plain tough to get through a workout. There are times when I simply don’t feel like working out, or I get halfway through my run and hit the wall. When I find myself in a workout dilemma, I turn to imagery to get me through. Energy: Energy imagery refers to imagining a situation or workout that felt great and provided you with energy. For example, imagine the best run you ever had, the smell of the fresh-cut grass, the sound of your repetitive breath, and the feeling of your feet hitting the pavement in a rhythmic motion. This can provide you with an improved mental state to push through and finish your workout. Appearance: Appearance imagery refers to imagining a slim, trim, and healthier you. When you just don’t feel like hitting the corporate fitness program boot-camp class, imagine yourself burning calories, gaining muscle definition, and looking great when you achieve your fitness goal. This can give you that extra push to attend the class or hit the onsite fitness center. Technique: Technique imagery refers to imagining yourself with proper form. For example, when performing a squat, imagine yourself sitting back in a chair with your chest up and your weight in your heels. This type of imagery can provide you with a mind-muscle connection to perform an exercise with proper form. According to research by the University of Western Ontario, imagery can be a key element in sustaining an exercise program. I use imagery in nearly every workout. It keeps me focused and motivated. I’m currently training for a half marathon. During my runs, I picture myself passing spectators, hearing music, and crossing the finish line. All of these things help me to push myself and maintain my exercise regime. Try implementing imagery in your workout routine. Are there times where you find yourself saying "I can't" or putting yourself down? This negative self-talk is a self-fulfilling prophecy. If you consistently tell yourself things like, "I can't do it," "I'll always be fat," and "I'm such a lazy slug," you are talking yourself out of improving and livin g a healthier life. You're setting yourself up to fail. It's true that everyone has failed at a new exercise program or eating plan. But that doesn't mean that you'll fail every time, or that you need to carry that guilt with you. You need to believe that you will succeed. It might sound corny, but pay attention to what you say to yourself. As a corporate fitness manager, I consistently hear people say they are fat, ugly, or horrible at an activity. What they really should be saying is how great it is that they are working out, moving their body, or trying a new activity. Focus on the positive. Did you mess up and eat a greasy hamburger and fries for lunch? Don't beat yourself up about it. Rather, think of all the good things you've eaten in the past week. Assess why you felt you needed that hamburger and fries and devise a plan to be better prepared next time this craving arises. If you practice positive self-talk, over time it will become more the norm, and you'll be surprised at how good and successful you'll feel. Beyond rethinking negative self-talk, I give myself positive talk even if it's not completely true. For example, when I'm really struggling or feeling the burn of a worksite fitness class, I just tell myself, "Isn't this fun? I love this workout! It's so much fun!" Even though I may not feel that 100 percent, it gives me the motivation and positive feelings I need to make it through the workout. So nip that negative self-talk in the bud and start feeling good about you! As Stuart Smalley from SNL's "Daily Affirmations" would say, "I'm good enough; I'm smart enough; and doggonit, people like me!" Your employees probably eat at least one meal at work every weekday. Unfortunately, there's a good chance that their break-time meal isn't geared for optimal employee health or productivity. You can help your employees keep that afternoon crash at bay by providing them wellness education and easily accessible healthy food selections. Consider these suggestions as part of a well-rounded employee health and wellness program. 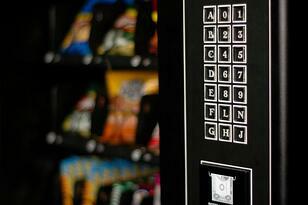 Chances are, your worksite already offers vending machines so your employees can grab a quick snack. However, did you know there are vending companies that specialize in healthy vending products? These specialized machines offer a variety of snacks that are low in sugar and fat such as pita chips, fruit bars, energy bars, dried fruit, and organic crackers and pretzels. Additionally, there are also specialty vending machines that offer refrigerated snacks. These machines offer products such as milk, fresh fruit, yogurt, and pre-cut veggies to employees looking for that afternoon pick-me-up. Drive home your support for employee wellness by subsidizing healthier choices in your cafeteria. Spotlight items such as salads, bottled water, baked chips, grilled chicken sandwiches, veggie burgers, fruit, and whole-grain wraps. Consider creating a lunch-prep area at work that encourages employees to eat well by bringing healthy foods to work. Provide a refrigerator so that employees can store fresh fruit and vegetables, leftovers, low-fat salad dressings, and deli meats to enjoy at mealtime. Worksite wellness can be good for your community. Invite local vendors to provide a farmers' market at your worksite for a few hours once a week or once a month. This enables employees to purchase seasonal fresh fruits and vegetables on their lunch break. Not only does this show your company's support for eating a healthy diet; it also contributes to your local economy (not to mention the environmental benefits of eating locally produced food). Encouraging a healthy diet is just one part of a well-rounded worksite wellness program; however, it can make a major contribution to employee health and productivity. When it comes to exercising, sometimes the music selections are just as important as the physical activity. I am a self-professed music junkie, so I may be biased. 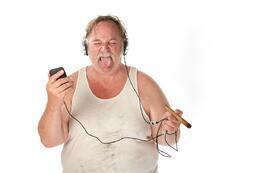 But nothing ruins a workout quite like an iPod dying, a CD skipping, or just plain bad music. In the pursuit of my Exercise Science degree, one of my college courses dealt with exercise leadership. We learned how to plan a group fitness class and manage all the dynamics that went into it, music included. We learned what tempos are best for warm-ups, which beats are motivating for the bulk of the exercise, and which styles of songs are conducive for cool-down periods. Now, after having hands-on experience teaching group fitness in a corporate fitness center, I see how important music choices truly are. Specifically in cycling classes, instructors often lead drills to the beat of the song. Instructors will say phrases like, “One pedal per beat,” as a way of keeping cyclists at the right tempo. When it comes time for a steep hill climb or a round of sprints, nothing can be as powerful as hearing the pulsing beat of your favorite song. With that said, here are a few resources, mostly online, that make music playlists easy. You can use these in corporate fitness programs as well as for your own workouts. Music For Cycling: This website includes playlists for cycling, and also actual bike workouts to go along with them. Some of the playlists are themed, such as “Around the World” or “Halloween Playlist,” making for fun, easy ways to motivate your corporate fitness members. WorkoutMusic.com: Here you can purchase mp3 files of full albums geared toward certain styles of workouts—for example, running or strength training. You can download shorter albums that are great for a quick abs class, or longer playlists for extended activities like running. Magazine playlists (Fitness and Shape): Shape magazine offers a monthly 30-minute playlist. The writer suggests a mix of newer pop songs as well as classic sing-alongs. Fitness magazine publishes a yearly feature in January, listing the best music for cycling, running, walking, weight training, and yoga. iTunes: The iTunes music store can also be a good resource for ideas. You can search for a certain song, and often there will be a cardio remix version that makes the song more upbeat than the original. iTunes also suggests Perfect Playlists: Workout, which you can preview and download all of its songs for $9.99. Here’s some good news: You do not have to meet your sales quota to be considered among the elite at your worksite wellness center. All you have to do is start breaking a sweat. According to a study published in the October issue of the American Journal of Preventive Medicine, researchers analyzed the American Time Use survey and concluded that only 1 in 20 Americans engages in vigorous exercise on any given day. That’s right, a paltry 5% of us are working hard enough to actually sweat when we work out. Why is this important to employee health as well as corporate health? The way to sustained weight loss is through a healthy diet and prolonged cardiovascular exercise (45 to 60 minutes) at least five days per week. If you want members of your workforce to reach healthier body weights, you have to (among other things) create an environment that supports and provides opportunities for your employees to work out hard enough to sweat. You need to build a corporate health culture that supports breaking a sweat in your worksite fitness center. What if businesses publicly rewarded the sweaty elite alongside the sales leaders? After all, employees who can help you control healthcare costs do as much for the bottom line as those who meet their sales quotas. 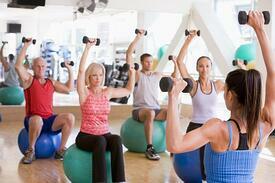 Group exercise classes are known for their high-energy environments and uplifting tunes. However, employees can gain numerous other benefits, especially if your organization provides on-site group exercise classes. And because people spend more time at work than ever before, it only makes sense to offer worksite wellness programs and onsite group exercise as a benefit to employees. One of the benefits of worksite group exercise classes is reduced daily stress. In a world where 12-plus hours of work are shoved into an eight-hour workday, any reduction in stress is a huge help. Not only is stress reduced, but accountability and success rates increase. Who wants to miss a worksite group exercise class when the instructor and your colleagues will know you skipped out? Not only can worksite exercise programs positively contribute to employee’s weight-loss success, but group programming can improve the mood at the office when employees are pressed to perform and produce. A well-run worksite group exercise class will allow for the sociability that employees may not otherwise receive throughout the day. Classes can also build on an element of friendly competition where participants will work harder in a group than they would push themselves on their own. Last but not least among the benefits of group exercise is an increase in participant safety and organizational liability. Classes that are taught by a certified instructor drastically decrease the likelihood of employee injury and minimize liability for the employer. Your employer may not offer a corporate wellness program or a corporate fitness center now. But when they realize all of the benefits for their associates and the company, I’m sure they won’t be too far behind the fitness train. WELCOA, Wellness Council of America, recently released an interview with Dr. Stephen Blair, one of the most renowned researchers in physical activity. The interview profiled the dangers of sitting too much. Although it touched on population health, the focus was on opportunities specific to employee wellness. Throughout the interview, Dr. Blair points to the basic premise that moving more is better for your health. He outlines how today’s workforce sits way too much and then points to some fairly recent worksite wellness research, which shows that simple breaks in sitting (such as standing more often and moving a little bit throughout the day) can lead to positive change in important health markers like blood pressure and waist circumference. It's important to note that these short breaks in sitting didn't qualify for the classic 10-minute walk break; they were very minimal breaks in sitting. The good news is that this type of frequent break from sitting might be actionable by much of America's workforce. For those who are intimidated by the Surgeon General's recommendation to accumulate 30 minutes of physical activity most days of the week, “sit less” sounds a little more doable. Even better, employers could start to order their employees' days to truly encourage this type of movement. Making changes in sitting patterns during the day won't take off extra body weight, but it might be the catalyst to a little more movement, and then a little more movement...which leads to that 10-minute walk break. What are you doing to encourage movement for a healthy workforce? This book is one of the best fitness books on the market. Although it was released in 1999, it remains timely because it does not promote time-sensitive trends, refrains from endorsing brand names, and is simple. The intent is for the reader to cover one chapter per day, for 14 days. By the end, readers will understand the need for personal wellness and have the tools to begin a plan. My favorite aspect of this book is that Ardell steers clear of deep scientific processes and terms, while still driving home the most important components of health. The subtitle is accurate when it claims to be both effective and easy. This book sheds new light on topics for health professionals, but also offers a great starting ground for the average person wanting to start a personal wellness plan. 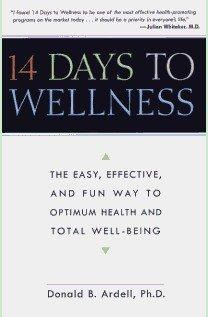 Consider adding 14 Days to Wellness to a worksite wellness program library. You can pick up used copies for a reasonable price on Amazon.com. Childhood obesity is on the rise. 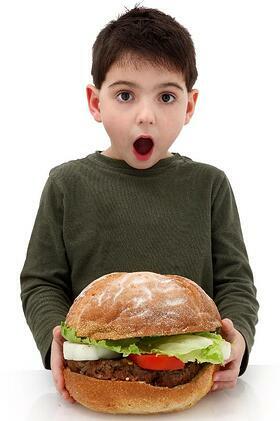 According to the CDC, in 1980 the prevalence of obesity in children aged 6 to 10 was 6.5% compared to 19.6% in 2008. Among adolescents aged 12 to 19, obesity has grown from 5.0% to 18.1%. That is a whopping 13% increase in childhood obesity in 28 years. At this rate, some believe this will be the first generation of parents to outlive their children. Childhood obesity is an expensive employee health issue now and will continue to be so into the next generation if parents don't intervene. Let's look at the factors parents can control. Teach your child that exercise and play can be fun. The American Heart Association recommends that children and adolescents participate in at least 60 minutes of moderate to vigorous physical activity every day. Treat this as an opportunity to spend quality time together and learn more about what your child enjoys. Explore new activities together like bike riding, going to the park, walking the family pet, jumping in a local bounce house, or joining them in another favorite activity. Set an example. Children learn from their parents. Your child will generally pick up any habits that you have or practice. Use this to your advantage and keep it in mind in everything you do. If you currently have the luxury of using a corporate fitness facility, take what you have learned and incorporate it into your home life. Make fresh, healthy foods available. Ultimately, you or your spouse is responsible for the grocery shopping. Bring home a variety of fresh fruits, veggies, and healthy snacks for the family to enjoy together. If you don't buy the bad stuff, it won't be around for them to eat. Your kids don't like produce? Start with the sweeter fruits like strawberries or apples that they are more likely to enjoy. If you need to, keep around a low-sugar or low-fat dip like fat-free CoolWhip for them eat along with fruit. 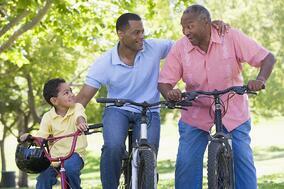 Keep these tips in mind as you point your child toward living a healthy lifestyle. Don't hesitate to start taking some personal responsibility for your child's future. We don't want to outlive our children! Physical Activity vs. Exercise: Do Corporate Fitness Programs Care? Most people use the terms "physical activity" and "exercise" interchangeably, even though there is a difference between the two. Physical activity is movement that causes the muscles to contract, while exercise is structured and helps to maintain or improve physical fitness. The biggest bonus to physical activity is that you can be physically active throughout the day by taking the stairs, raking leaves, or parking your car in the back of the parking lot. You can do all of these things at your own leisure when you don’t have time to schedule a workout. And, if you are being physically active to the point where your heart rate is elevated and you feel as though you are working hard, your overall health will benefit. I think the biggest question among corporate wellness promoters is, "Will a daily exercise routine benefit employees more in the long run compared to physical activity?" I have mixed emotions on this. By scheduling time to exercise, individuals are making their health a priority and have taken the step to improve their overall well being. But being physically active, beyond activities of daily living, can make a difference in an employee’s health as well. If companies want to see the benefit of incorporating corporate fitness into their organization, they can start by encouraging employees to take the stairs instead of the elevator. I can guarantee that once employees make this a habit, their productivity will increase, stress levels will decrease, and they will start asking for more ways to increase physical activity throughout their shift. Or they might even start asking for an onsite fitness center! It is not news that obesity is a major health concern in our nation. Not only is obesity responsible for billions in healthcare cost each year; it can also mean billions lost in terms of work productivity. 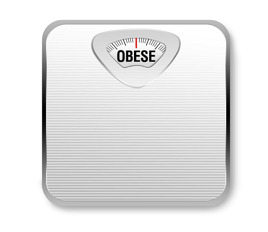 A recent study estimates that $73.1 billion dollars in workplace productivity are lost each year due to obesity. These numbers highlight the value of employee health. The study cites an increased number of sick days taken and presenteeism (lost performance while at work) as the main reasons for lost productivity from obese employees. Examples of presenteeism can be additional time needed to complete job responsibilities or more problems meeting physical demands at work. How can employers save money that might be lost due to obesity? They can invest in workplace wellness programs and health improvement plans. Promoting healthier lifestyles and providing wellness education can be just the support your overweight employees need to lose weight and get healthier. Even small weight losses by individuals classified as obese by BMI (body mass index) can mean millions of dollars saved for your company. Some will argue that muscle confusion is no good for building muscle mass. But I have to admit, the P90X workouts are no joke! I would like to consider myself somewhat in shape, but when I did the videos I was extremely sore. After doing the biceps video, I couldn’t straighten my arms all the way for two days. I liked the videos so much, I’m going to put a copy in my corporate fitness center for employees to use on their lunch breaks. I feel that mixing up your workouts and adding variety will help increase strength, endurance, speed, and agility. You increase in all of those areas by keeping your muscles guessing and challenged. After years of always running and lifting the same weight and exercises, I finally discovered it is okay to not have a routine. This might seem difficult to those of you who hate change, but the results are worth it. Now I change up all my workouts, especially in the classes I teach at the onsite corporate fitness facility. This helps the employees who won’t change their workouts on their own. As a result, our bodies can handle more basic daily movements (unloading the groceries, cleaning out the garage, and so on) and we are stronger for those not-so-graceful falls. In my opinion, P90X is not for beginners. Like I said, I work out on a regular basis and teach at a corporate facility, and for two days I couldn’t wash my hair because I couldn’t get my arms up that high. So, please take it slow and do only half the video at first if you are a true beginner or if it’s been years since you have worked out. Before I launch into my list, I want to note that this is not an all-inclusive list, nor is it ranked in order of importance. It’s just four pieces of the 1,000-piece puzzle that so many health practitioners, employers, employees, and others are trying to solve. 1. People don't realize how much of a problem their weight is. 30 percent of overweight people think they’re actually normal size. 70 percent of obese people feel they are merely overweight. 39 percent of morbidly obese people think they are overweight but not obese. 2. Many workplaces have a bad health culture. Healthy corporate environment and policies are often overshadowed by an unhealthy workplace culture that supports donuts at meetings and candy bars for fund-raisers. 3. Office wellness initiatives lack educated leadership. Knowledge is power. Unfortunately, most corporate health promotion initiatives are overseen by individuals lacking the appropriate educational background to safely and effectively sustain those efforts. 4. Politics and uncertainty hamper corporate wellness programs. Legal landmines tied to worksite health promotion scare away serious wellness efforts that might have a healthy impact on the workforce. Add to that the great unknown that is Health Reform and employers start to feel like their health promotion hands are tied. Host a health fair or health expo. Bring in representatives from various organizations to your workplace. Making information easily accessible by having several booths of resources makes employees more likely to seek out information. Think of local companies, but also include larger organizations such as the American Cancer Society and the American Diabetes Association. Invite representatives from larger hospitals to offer screenings at the health fair, including cholesterol, blood sugar, bone density, and aortic artery screenings. Start resource groups. My corporate health promotion staff recently organized a group called the Cancer and Chronic Conditions Resource Network. Led by three key people who themselves have had past diagnoses of cancer, the group began by personally inviting people on our company’s campus who had been affected by a chronic illness themselves, or who were primary caretakers of loved ones with such ailments. Be sure to stress the resource component of these groups in the naming, rather than calling it a "support group" or "care group," since those might be less appealing in a corporate setting. Host information sessions over lunch. Pinpoint certain diseases or chronic ailments that affect a significant population of your company. Then look into monthly or quarterly Lunch and Learns on such topics. Remember to include ailments that are less severe but perhaps more common, such as migraines or sleep disorders. Find ways your company can partner with other organizations. The American Cancer Society, in particular, has phenomenal resources specifically designed for use in corporate settings and to aid you, as the health delivery specialist. Above all, take it upon yourself to understand these illnesses. You don’t have to know scientific details about each disease or condition, but become familiar with the most pressing needs and concerns of these individuals to take your corporate health promotion above and beyond customer service. We always hear that fiber is an important part of our diet. You probably know that it helps to keep bowel movements regular. 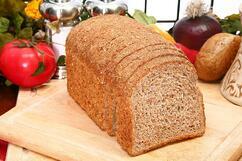 But are there other reasons you should pay attention to your daily fiber intake? I read in my worksite wellness newsletter that fiber can also lower cholesterol and help control blood sugar levels. But, most importantly, I read that it can aid in weight loss! This caught my eye and made me want to find out more information. Fiber helps you to feel full for a longer period of time, which will help you to eat less. To lose weight, you need to take in fewer calories than you burn. Because the body does not break down fiber, it can grab some dietary fat and carry it out of the body. Several brands now have fiber bars on the market. Kellogg’s has some high-fiber cereals and snacks. You can also add a fiber supplement called Benefiber to many hot or cold beverages. Make sure you gradually add fiber to your diet. Contact an onsite fitness center staff member to get a nutrition consultation and exercise prescription. Choose your diet carefully and don’t forget your fiber! Overweight Employees: Why Is Weight Loss Harder for Women? Why do women have a more difficult time losing weight than men? We all know that women are different from men in several ways, but it just doesn’t seem fair. It’s complicated, but it has to do with women’s physiology, brain chemistry, hormones, and other issues. Women have 20 percent more fat and larger fat cells to help support the possibility of pregnancy. It’s not that pregnancy makes you fat, because I have seen some in-shape women around the corporate fitness center who have had children. But it can make it harder to lose weight. Most women tend to shy away from strength training. Strength training helps increase the amount of lean body mass you have, which in turn speeds up your metabolism. This helps you burn more calories overall. Women stress more than men, which causes them to not sleep as well. Sleep and nutrition go hand in hand; if you don’t sleep well, you tend to eat worse throughout the day. You will also feel more stressed because you didn’t sleep well. It's a vicious cycle that we need to stop! Most corporate wellness centers offer a stress resilience program that you should look into. 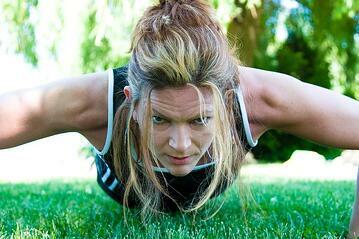 So, grab a coworker, neighbor, friend, or your spouse and start working a little harder on your physical fitness. Just because we are women doesn’t mean we can’t be healthy and in great shape! First things first: To avoid legal trouble, rename your program so that it doesn’t bear the trademark The Biggest Loser name, but is still recognizable, for example, "Lose to Win." Don’t vote anyone off. Yes, there should be an overall winner to make it a true competition, but participants should be given the opportunity to continue through the entirety of the program, reinforcing lifelong habits. Avoid singling out individuals in a negative way. If a participant has a bad week of weight loss, discuss what factors may have been inhibiting them and move on with an action plan toward the next weigh-in. Do push your participants out of their comfort zone into more strenuous workouts, keeping in mind their physical limits. Watching the show can give you many new ideas of exercises, but not all of them can be appropriate for your clientele. Remember, the show has trained medics on standby at all times. Do record all baseline health measurements at the beginning of the program and periodically throughout. On the show, Dr. Huizenga performs extensive assessments on the players, telling them their body’s age, showing scans of their fat distribution, and so on. At the very minimum, record weight, percent body fat, girth measurements, BMI, resting heart rate, and blood pressure. Do encourage participants to understand the root of their weight gain and possible underlying issues that have made them unsuccessful at past weight-loss attempts. Jillian Michaels, trainer on The Biggest Loser, takes this to a bit of an extreme, making it her personal goal to emotionally break down each player to his or her point of realization and future empowerment. Get to know your clients' lifestyles and remind them that weight loss is such a multifaceted process that emotional and relational issues play a role. Lastly, be realistic. Remind participants (and yourself) that you most likely aren’t going to see more than 10 pounds of weight loss in one week. Your corporate participants also have a job, a family, and other obligations that The Biggest Loser's players are removed from during their time at the ranch. Fat Freezing: A Quick Weight-Loss Solution? Fat freezing, a new cosmetic procedure also known by its technical name, cryolipolysis, may be considered the newest alternative to liposuction. The method involves a special device that applies very cold temperatures to pockets of excess fat. The cold temperature causes the targeted fat to die, which is then eliminated by the body over a course of months. Is this new procedure the answer to our nation’s ever-increasing weight problem and associated health care costs? Not at all. This procedure is only for small amounts of fat or “problem areas.” Cryolipolysis will do little if anything reduce overall weight, and it certainly won’t decrease health risks associated with excess body fat. In fact, without a proper diet and exercise plan, the fat previously frozen and removed can come back elsewhere. Although this new procedure sounds like a simpler and safer substitute for liposuction, the healthiest and time-proven way to decrease weight and improve health is a balanced diet and regular exercise. Encourage your employees to commit to a healthy lifestyle by adding an onsite fitness center to your organization’s building. Ensure that the wellness center is staffed with qualified health and wellness professionals who are skilled in exercise program design and nutrition coaching. Promote the idea of improved health with behavior change rather than quick fixes.